తెలంగాణలో ఇంటర్‌ వార్షిక పరీక్ష ఫలితాల విడుదలకు రంగం సిద్ధమైంది. ఈ నెల 18న ఫలితాలను విడుదల చేయనున్నట్టు అధికారులు ప్రకటించారు. నాంపల్లిలోని విద్యాభవన్‌లో గురువారం ఫలితాలను విడుదల చేయనున్నట్టు ఇంటర్‌ బోర్డు కార్యదర్శి అశోక్‌ ఓ ప్రకటనలో పేర్కొన్నారు. పేపర్‌ వాల్యుయేషన్‌ ఏప్రిల్‌ తొలి వారంలోనే పూర్తైన నేపథ్యంలో ఈ నెల 8 లేదా 9 తేదీల్లోనే ఫలితాలు వెల్లడిస్తారనే ప్రచారం జరిగినప్పటికీ విడుదల కాకపోవడంతో విద్యార్థుల్లో ఉత్కంఠ నెలకొంది. రెండు తెలుగు రాష్ట్రాల్లో ఒకేసారి పరీక్షలు పూర్తికావడం.. ఇప్పటికే ఏపీలో ఫలితాలు విడుదలైనందున తెలంగాణలో ఫలితాల తేదీపై ఆసక్తి నెలకొంది. 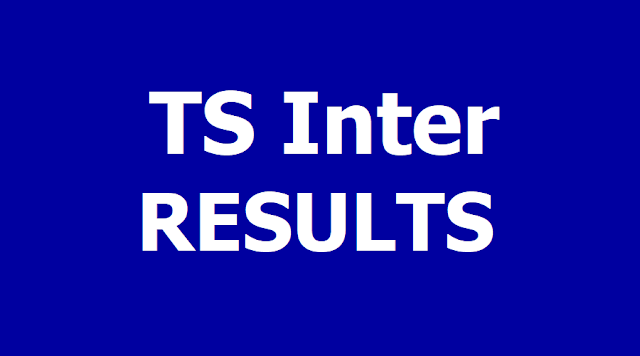 TS Intermediate Results 2019 date: The Telangana State Board of Intermediate Education (TSBIE) will release the results of intermediate 1st and 2nd year examination 2019 by April 18. “We are at the last leg of preparing result, the board is likely to announce the results of intermediate first and second year examinations by April 18,” said an Board official from the controller of examination department, Board of Intermediate Education. Apart from the official websites, students can avail their results from the Telangana state government app- ‘T App Folio’The result websites crash every year due to heavy traffic received after the declaration of results. Thus, this year, to help the students check results smoothly, the government will provide board results from the state government app- T App Folio as well,” the official said. TS Inter Result 2019: The Telangana State Board of Intermediate Education (TSBIE) will declare the Intermediate first-year and second-year annual examination results for the academic year 2018-2019 in the month of April 2019. The exact date of declaration of the Telangana Intermediate Result 2019 has not been released by the Board asn ow. The TS Inter Result 2019 will be declared on April 18. The Board official, said that the intermediate result will be announced after the Lok Sabha polls in the state which is scheduled to be held on April 11, 2019. The Telangana Intermediate 1st and 2nd year examination was held in February-March, 2019. The TS Inter 1st year exams 2019 was held from February 27, 2019, to March 16, 2019. The TS Inter 2nd year exams 2019 were conducted from February 28 to March 18, 2019. The students are advised to check the result date only from the official website of the Telangana Education Board and should not fall for fake news circulating on the internet or social sites. TS Inter Result 2019: TSBIE TS Inter 1st and 2nd year results expected to be out in April @ bie.telangana.gov.in: The Telangana State Board of Intermediate Education (TSBIE) is expected to declare the results of inter first and second year exam 2019 soon on ist website. Once the results will be declared, all the candidates can check the same on the official website of TSBIE. As per reports, the TSBIE 1st and 2nd year results are likely to be declared on April 18. Download and take print out of the same for future use. This year, the Inter 1st year exams were conducted from February 27 to March 16, 2019. Further, the intermediate exams were held in around 1,300 centres across 31 districts. Over 9 lakh candidates give Telangana TSBIE 1st, 2nd year exam. As per reports, this year, over 9 lakh students were expected to appear for the 1st, 2nd year examinations. BIE Telangana conducts the board examinations for Inter 1st year and 2nd year in the state. As per the information available, about 4,36,621 students have appeared for their first year or Junior Intermediate examinations. A similar number of students have appeared for TS Inter 2nd Year 2019 examinations. Step 1: Visit the official website of the Telangana Board of Intermediate Education (bie.telangana.gov.in). Step 2: Under the “News and Announcements” list, there will be a link to the first year results. Step 3: Click on the link, enter the details in the fields provided and submit or search for your results. Step 4: Download the results sheet and take a print out of the same for further reference. In 2018, TS Inter 1st and 2nd year results were released on April 14, 2018. The tentative schedule is expected to be similar. Last year, about 455789 students appeared in TS Inter 1st Year and 429398 students appeared in TS Inter 2nd Year examinations. The results were released at 9 am. Pass percentage for TS Inter 1st year 2018 result was 62.35%. The pass percentage for TS Inter 2nd year 2018 result was marginally better at 67.25%. Students who have appeared in the IPE March 2019 are advised to keep a check on the official website bie.telangana.gov.in. TSBIE Intermediate results would be published on the official websites bie.telangana.gov.in and results.cgg.gov.in. Apart from these, the results are also available on third party sites. Candidates may check their results on any of the above mentioned websites. About the Board: Telangana State Board of Intermediate Education (TSBIE) regulates and supervises the system of intermediate education in Telangana. It executes and governs various activities that include devising of courses of study, prescribing syllabus, conducting examinations. For any query regarding the results, candidates can check out the official website.